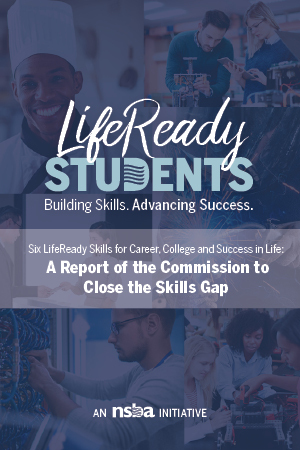 For the LifeReady Students campaign, NSBA convened the leadership of major business and trade membership organizations to create the Commission to Close the Skills Gap. The Commission developed recommendations for school districts to consider that would assist high school graduates in developing the skills essential to succeed in most of life’s endeavors. Click here to read NSBA's Report of the Commission to Close the Skills Gap. Watch our LifeReady Students campaign video here.